The majority of this material is quarried in Brazil although there is limited production from India. 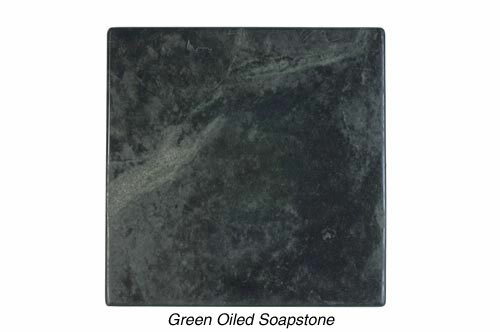 A very dense stone it is blue/grey in color in its quarried condition and will take on almost a black/green color after mineral oil is applied. Its primary uses include countertops, backsplash, flooring, fireplace surrounds, lab tops, masonry heaters and assorted cooking vessels. 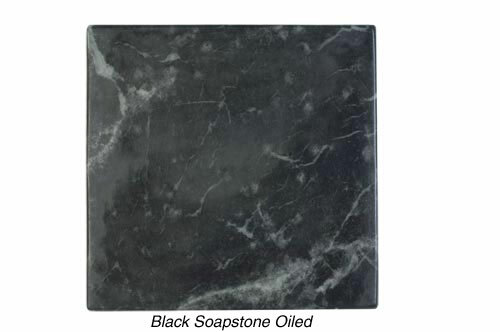 Although the soapstone does not need to have mineral oil applied it is recommended to speed up the darkening process in a uniform manner. There is no set rule for how many coats of mineral oil need to be applied but 6-8 times will typically give it its ultimate finish. 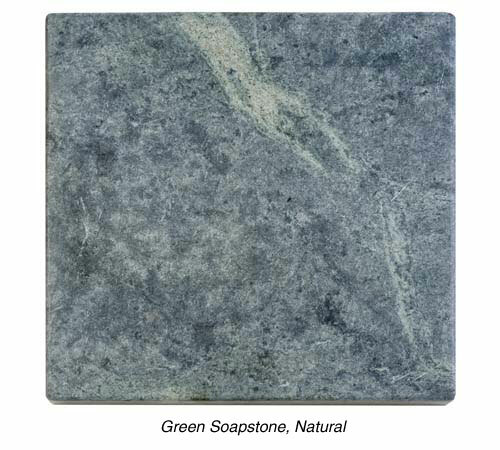 Soapstone can be cleaned with any detergent but as a rule of thumb only soap and water should be used as harsher chemicals may remove the mineral oil. 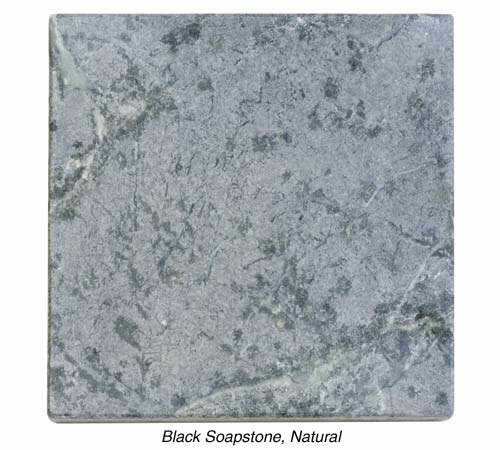 The soapstone is impenetrable and therefore resistant to acids.